OITA, JAPAN – “Never rule out any possibility nor plan too far ahead,” we’ve always said of this adventure. 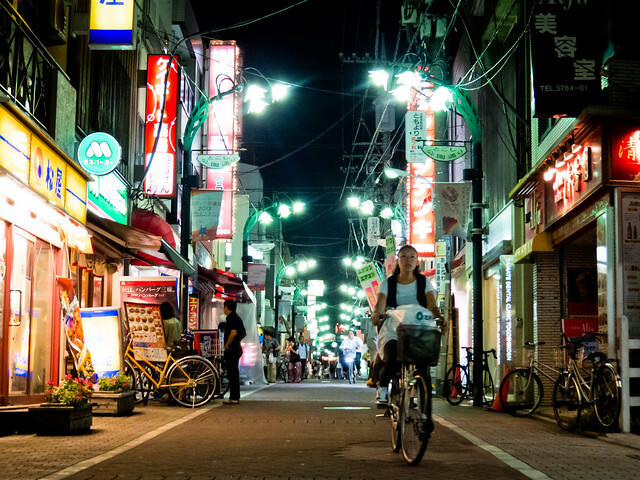 So, when an inexpensive flight popped up we took a look at including a journey to fascinating Japan in our last few months on the road. After contacting a couple of our friends living there, and making a few new ones via Couchsurfing, we decided that we must follow the beautiful fall weather, head even further eastward and simply make it happen! After three weeks in the country we are so glad that we did. 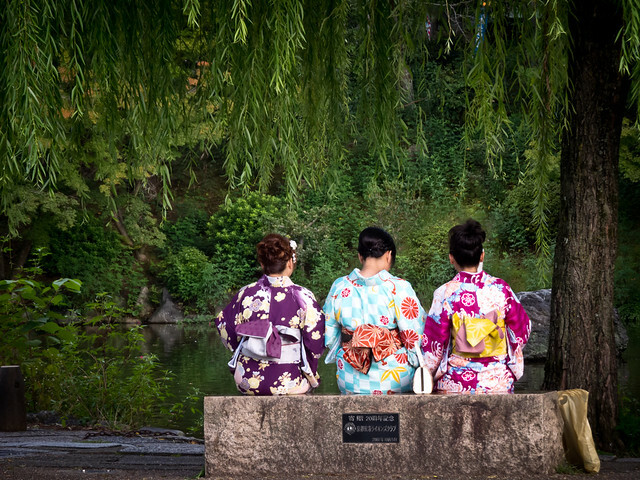 From the neon lights of lively Tokyo all the way to relaxed Oita in the south, our time in Japan certainly felt as if it were our most comprehensive visit to any country as of yet. We just did, and experienced, and saw, and gawked at, and photographed, and ate so many amazing things every single day. The intrigue of the country’s sights and unique culture enlivened us to spend more time than we usually do out in the streets exploring, people watching, and getting lost amongst the throngs of locals. 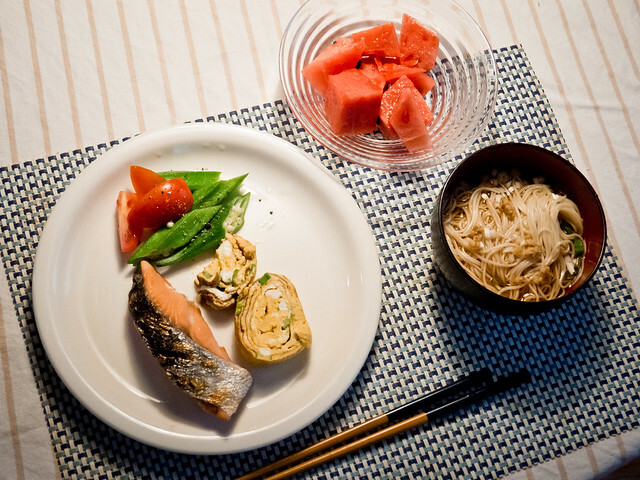 Through staying with local friends new and old we were provided with an authentic inside look at various versions of Japanese life at home. We were able to dig much deeper than usual into the country’s culture, learning the ins and outs of everyday life and experiencing the organization, civility and hospitality that encompasses every facet of society. We met countless of the most polite, genuine, and loving people, many of whom went out of their way to ensure that we felt welcomed and were able to experience the best of their respective corners of the country. 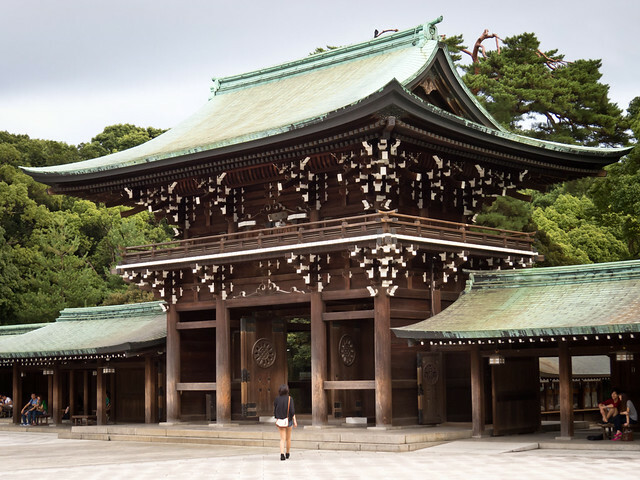 Our detour to Japan, a country so captivatingly different from anything we’ve experienced, has been an incredible highlight of our nearly two-year adventure around the world and the spontaneity of our decision to come has made the trip even more exciting for us both. Before we jump into all the great places we visited, we simply have to write about one of our all-time favorite topics – food! 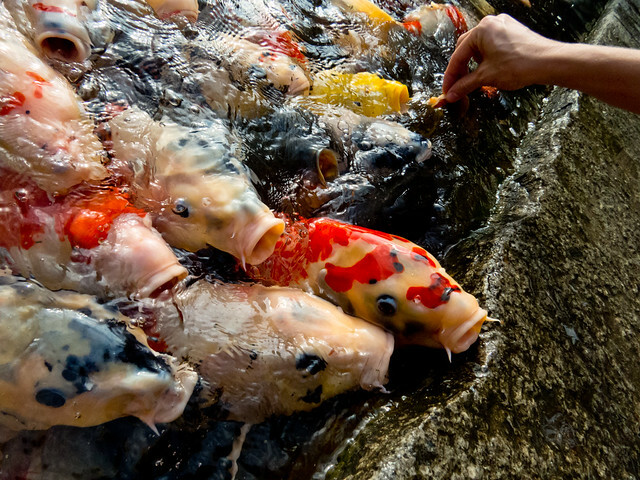 Japanese cuisine has long been a favorite of ours, but “WOW!” it’s a whole different story when you are here. 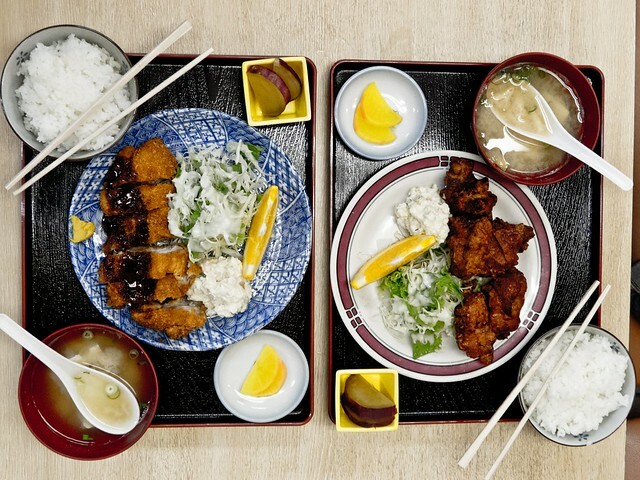 From family-cooked meals and enticing market stall bites, to packed sushi restaurants, Japanese diners, and dark ramen shops with beautiful wooden interiors, we dined on an enormous array of local cuisines far beyond the typical fare found back home. 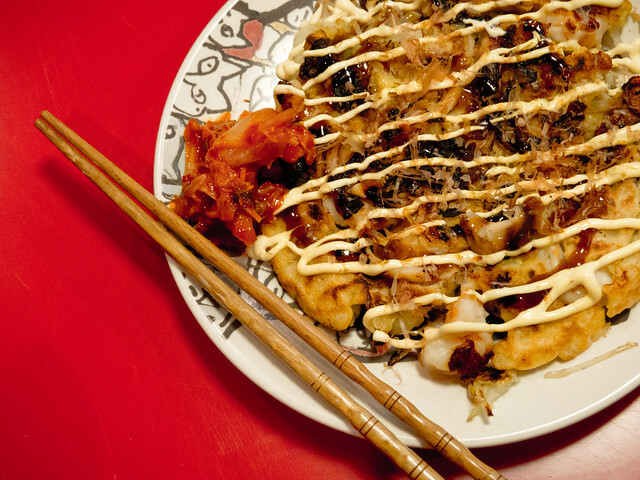 Our love for Japanese food has gone even further over the edge. 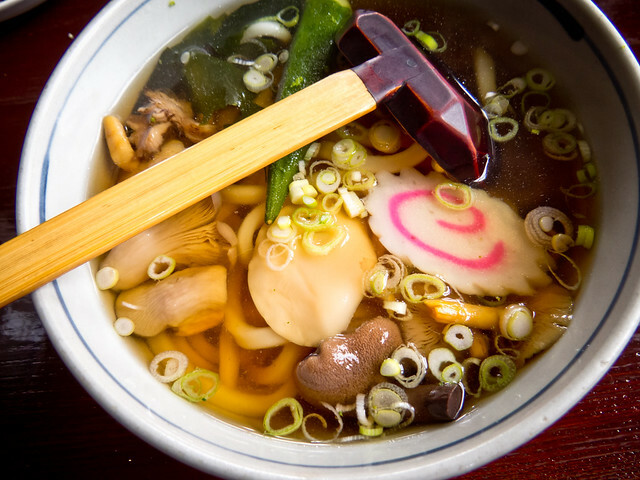 We just cannot wait to return home to dabble in our own kitchen and re-create some of our favorite dishes from Japan – and from all around the world. Our first destination, Tokyo, was more incredible than we could have imagined it to be from the very first moment: immaculately clean city streets, simple and well-connected public transport, and great opportunities at people watching, all accompanied by the leaves of the Japanese Maples just beginning their shift to brilliant hues of coppers and reds. 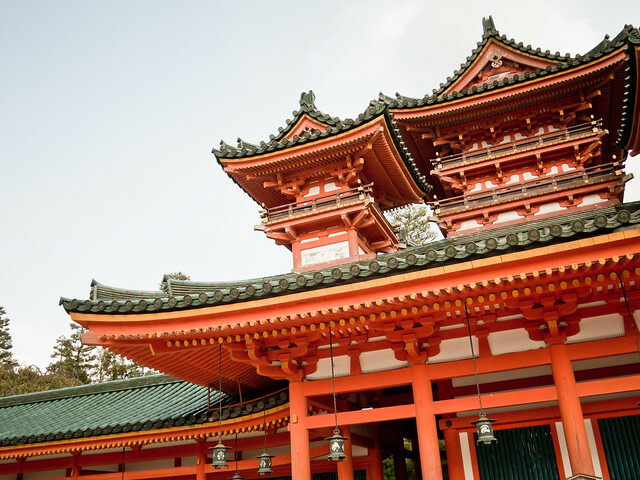 With all there is to see in the city, and only two days in which to do it, we relied on the help and advice of our gracious host, Ichiro, to narrow down all the overwhelming attractions to a manageable number – which was still a ton to see! We hit the streets from morning until night, darting around on foot and via the subway, experiencing all that we could: intricately designed museums such as that of Edo-Tokyo, brilliant shops, mega-arcades and eccentrically dressed people of Akihabara, and an incredible sunset over the city from the Tokyo Metropolitan Government Observation Decks. All that, and more, was experienced in our first day alone. 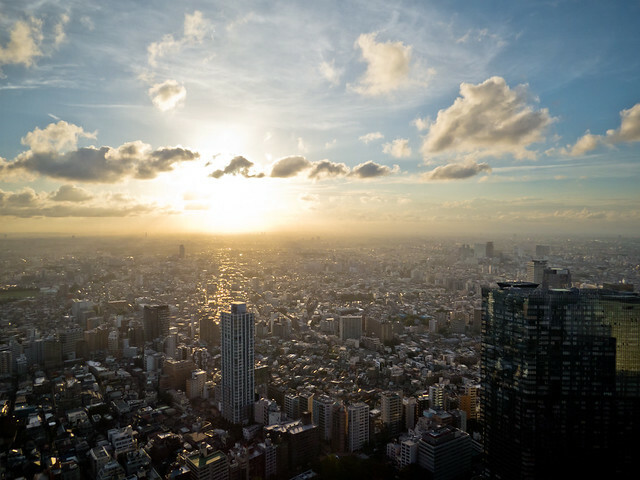 Our second day in Tokyo was even more inspired. 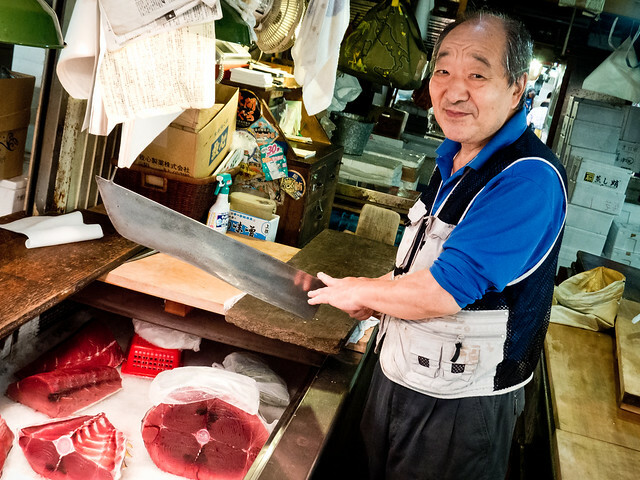 We began bright and early at the opening hour of the Tsukiji Fish Market, walking amongst the busy rows of fish stalls, weaving between speedy, miniature market vehicles, and witnessing the enthralling activities of the fishmongers. 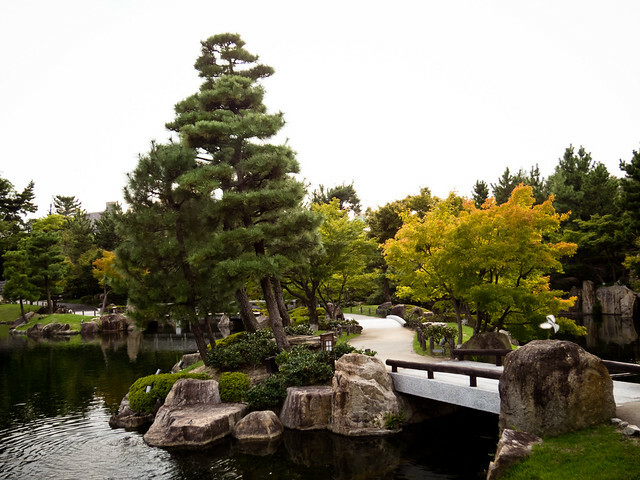 Just down the street we meandered throughout the Hama-Rikyu Gardens and visited the Tsukuji Honganji Japanese Buddhist Temple, incredible not-to-miss sights all within a short walking distance of the market. 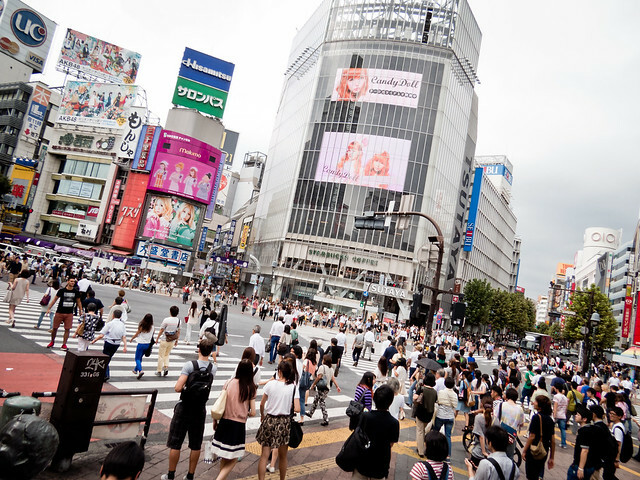 From there we hopped onto the metro to cross the city to Shibuya where we stood amidst the masses at one of the busiest pedestrian thoroughfares in the world. 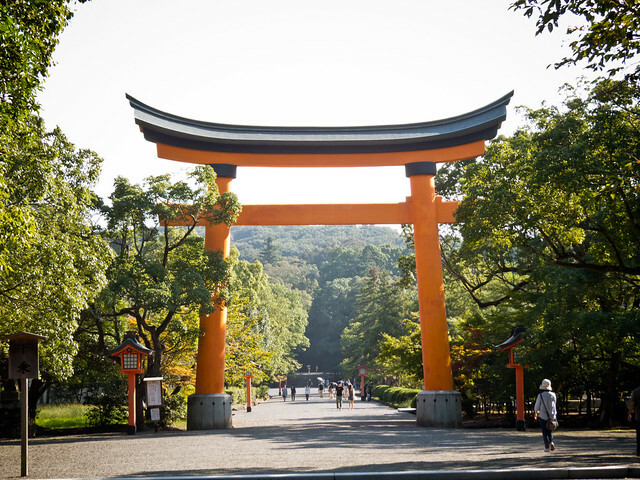 And before nightfall we even managed to squeeze in a visit to Yoyogi Park and the incomparable Meiji Shrine, our first ever in Japan and one not easily forgotten due to its sprawling forested grounds. With six more stops to go we departed bustling city life and headed towards the rural Tokyo suburbs of Saitama to the family home of Hiroki, a friend we met many months ago on safari in Kenya. As our very first homestay with a Japanese family, being with them for three nights was the most lovely experience. 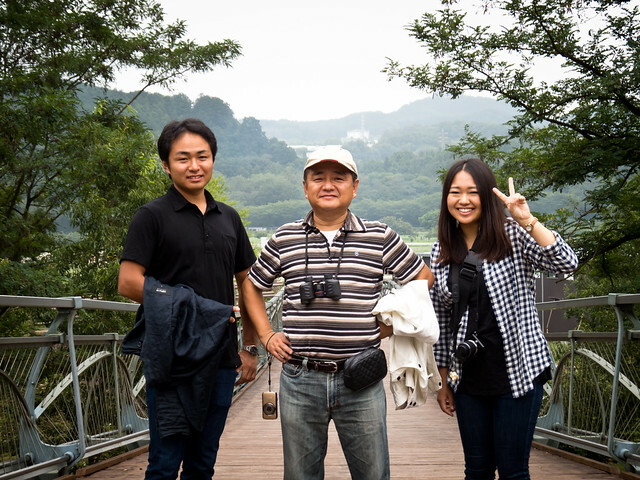 We toured the countryside for two days with Hiroki, his father, Yasuo, as well as his younger sister, Ayaka, visiting their favorite shrines, parks, and onsens (natural hot spring baths). 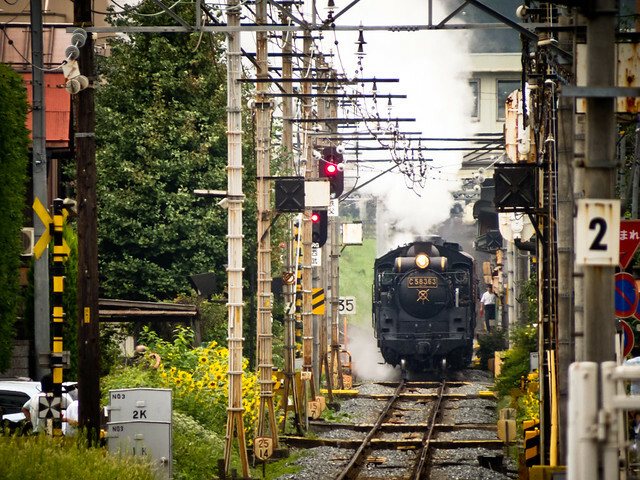 We spent a day observing in the elementary school where Hiroki teaches, dined on traditional meals in their home, and even took a pleasant ride through villages and country-side on a historical 1940’s steam engine train. 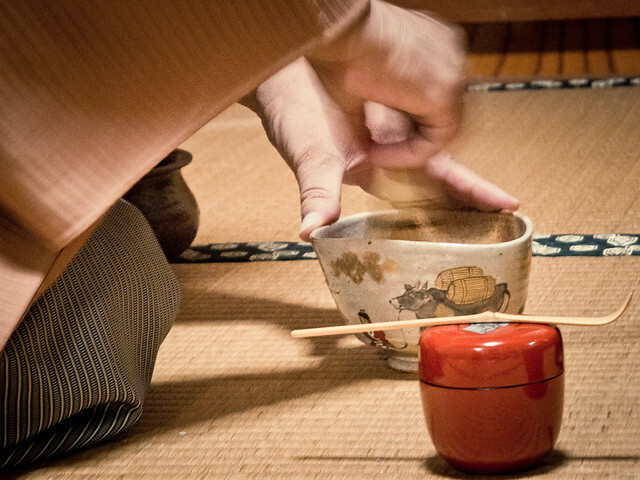 But, of our time in Saitama, it was a private tea ceremony by Yasuo that to us felt the most special and intimate. 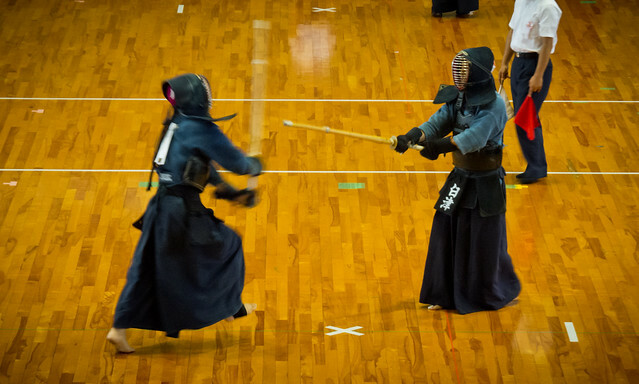 In a splendid cultural performance, Yasuo wore a traditional muli-layered kimono and demonstrated centuries of Buddhist monastic traditions through each calm movement. 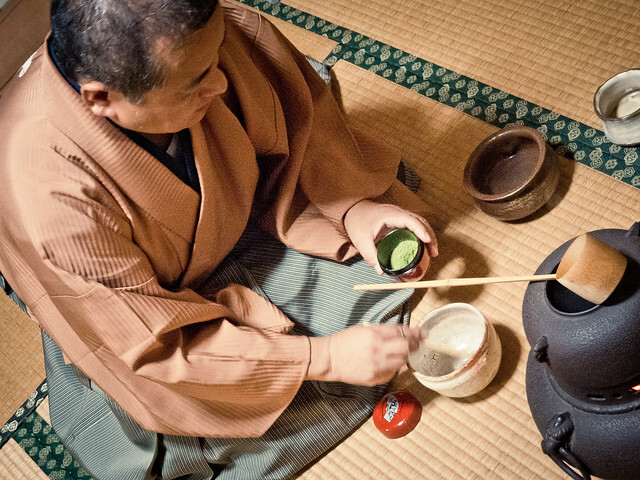 For a duration of perhaps thirty minutes he went through many intricate steps of the ceremony, slowly pouring water from container to cup, mixing matcha (green tea powder) in the most specific of ways, ornately folding his cloth napkin, and serving us both the tea and traditional Japanese sweets. The ceremony was simple but so perfect, leaving us with the feeling that we’d participated in something utterly remarkable. After saying goodbye to Hiroki and his family we boarded a bus for Nagoya, our home for the following few days. 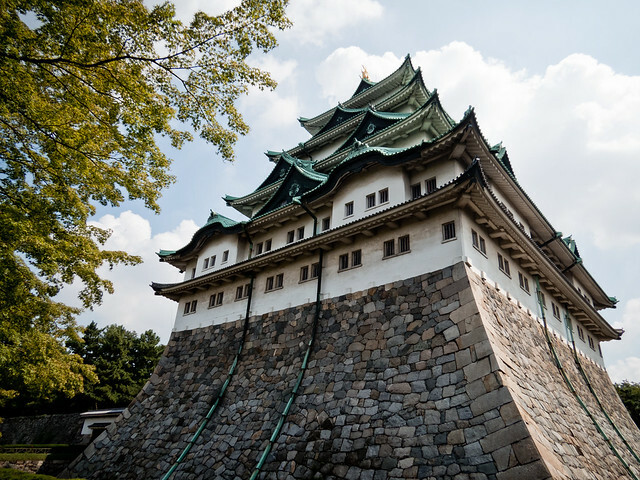 As the industrial capital of Japan, the city is not a top tourism spot but it still has quite a few interesting attractions to offer including the Tokugawa Japanese Gardens and Museum, the Osu Kannon Buddhist Temple and the Nagoya Castle. 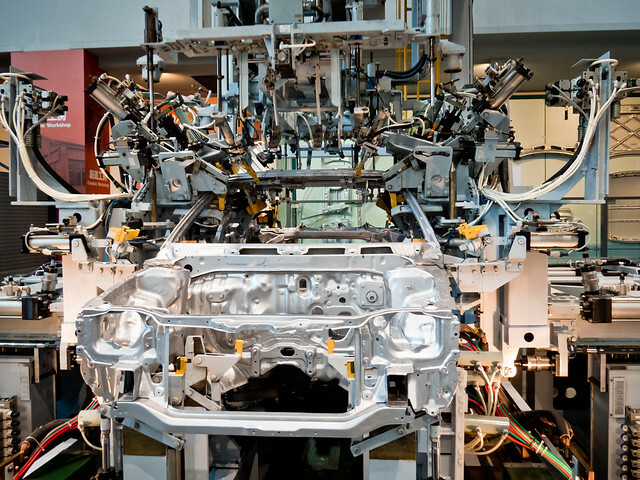 The highly regarded Toyota Commemorative Museum of Industry and Technology was quite impressive, making for some excellent photographs of the textile looms, vehicles and high-tech robots. Our absolute favorite thing in the city was simply being in the home of our friends Nobuyo and Fujiko, two of the sweetest, most down to earth and well-traveled people we’ve ever met. And their cooking! Meals in their house were so elaborate and incredibly thoughtfully prepared. We greatly adore them and find so much inspiration from their personal adventures as well as their peaceful and generous personalities. 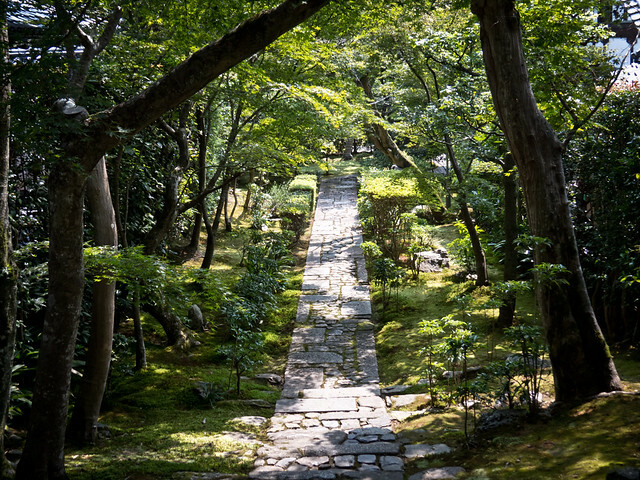 Two days in Kyoto, our next stop continuing down the main island of Honshu, are just not enough to scratch the surface of the outstanding temples, museums, shrines, parks, shops and restaurants that the city has to offer. 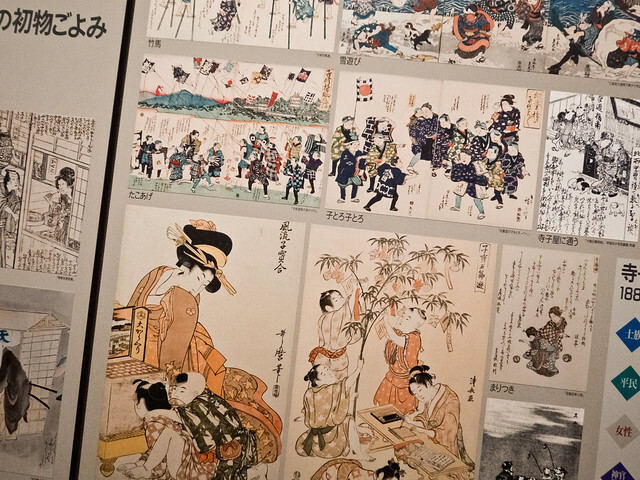 As a huge touristic capital, Kyoto abounds with opportunities to delve deep into Japanese culture and history. 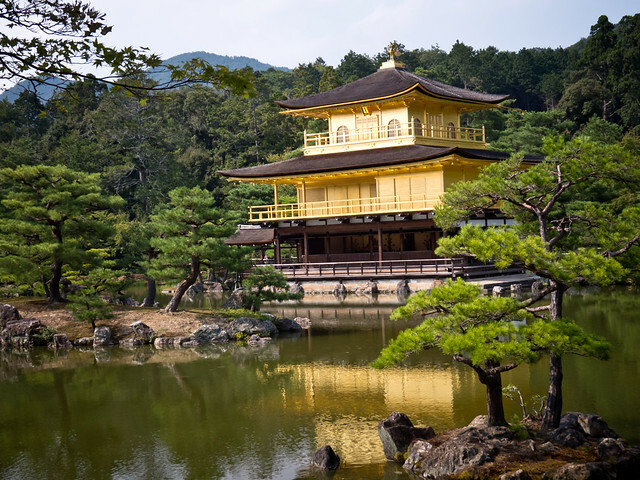 We were able to visit a mere handful of the sights during our short stay, including the Heian Shrine, Chio-in Temple, Maruyama Park, Ryoanji shrine and zen garden, and the immaculately golden Kinkakuji Temple. When temple hopping became too much for our tired bodies and minds we retreated to our capsule hotel, 9-Hours, for the space-like experience of sleeping in a small pod. 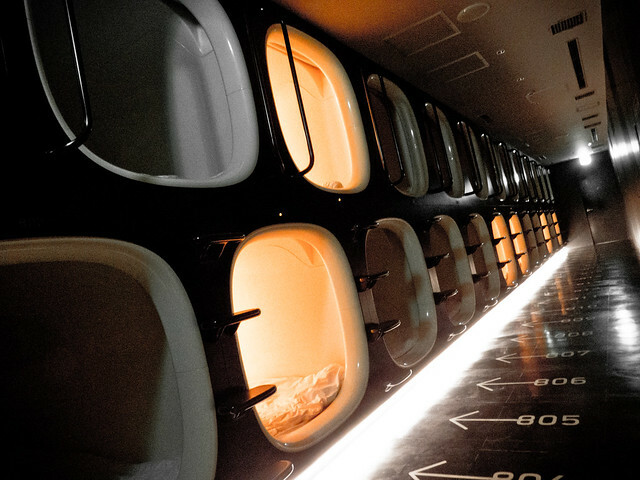 We’d seen capsule hotels before in Japanese movies, but 9-Hours does it so much better. The ultra-modern (and actually quite spacious) sleeping capsules as well as the sterile, all-white environment they’d created in their common spaces and bathrooms made for a very unique, futuristic setting. And most importantly, we did get some excellent, undisturbed rest. 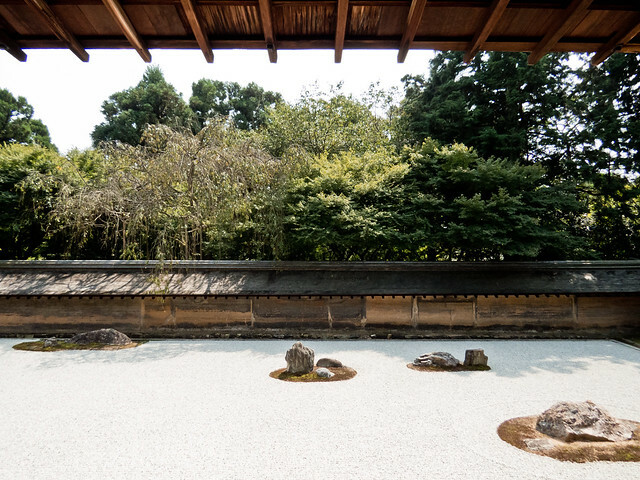 As many other countries value space above many other qualities we can understand why the concept hasn’t yet taken off outside of Japan – but, we loved it! Just as Typhoon Man-Yi began to strengthen over the Atlantic ocean, threatening our gorgeous fall weather with cloudy skies and thunderstorms, we made it to Osaka just skirting around the worst of the storm. Our host, Ken, and his 4-year old boy, Yu, met us at the train station on their bike and guided us back to their house together to meet his wife, Yuri, and their 1-year old daughter. The kids immediately took to us, something their parents declared had never happened with any of their previous guests. 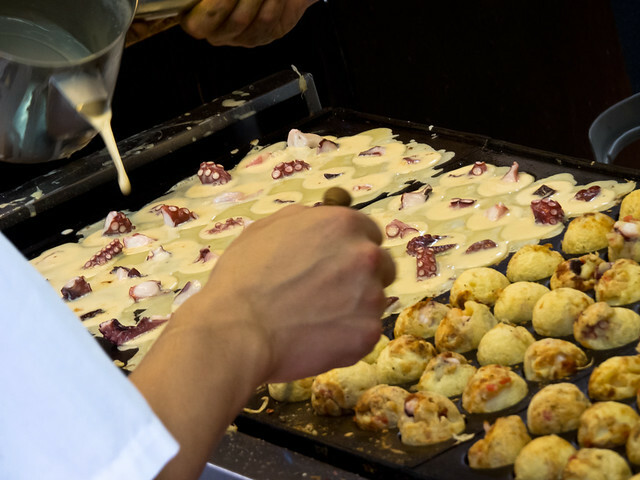 During our time in Osaka they even taught us how to make some excellent dishes such as gyoza and takoyaki (battered and fried octopus balls), a delicious specialty of the area. 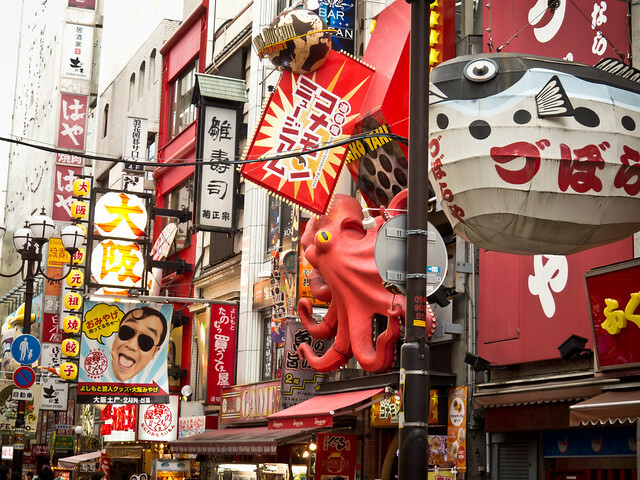 Exploring Osaka, it doesn’t take long to see why it’s quite famous for its commercial centers offering anything and everything a consumer could want. Continuing on despite the drizzling rain we made it to the downtown districts of Nippombashi, with it’s its eccentric building-side advertisement art, and Shinsekai, meaning “New World.” The latter was created in 1912, it’s south half modeled to look like New York and the north half like Paris. With the end of our trip on the horizon, we even participated in the Japanese art of consumerism, purchasing some gifts for family and friends back home. 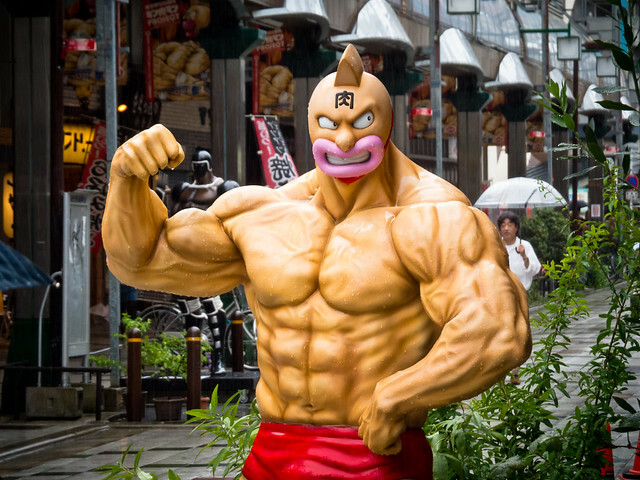 Who wants the blow up Kinnikuman-baby in a diaper!? 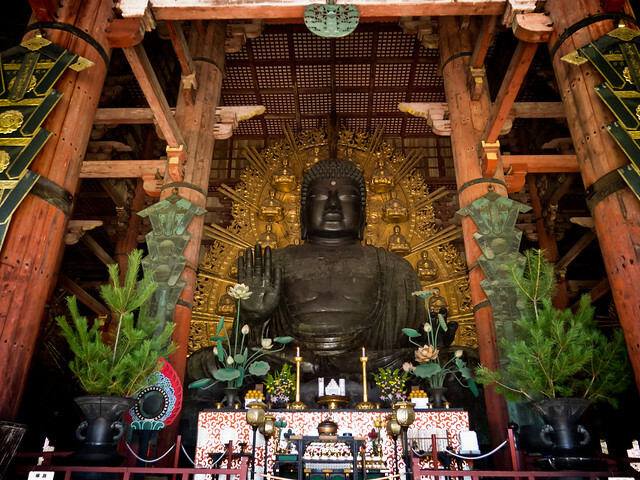 Once the rains had passed we ventured to Nara, one of the ancient capitals of Japan. 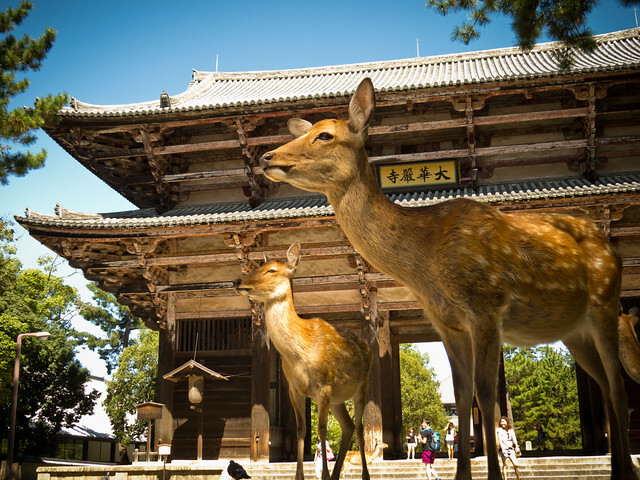 While it is home to many incredible historic temples and shrines, as animal lovers we were most interested in the friendly, spotted Japanese deer who make the town their home. With only a day in Nara we had a lot of sights to fit in and many, many deer to pet and feed. 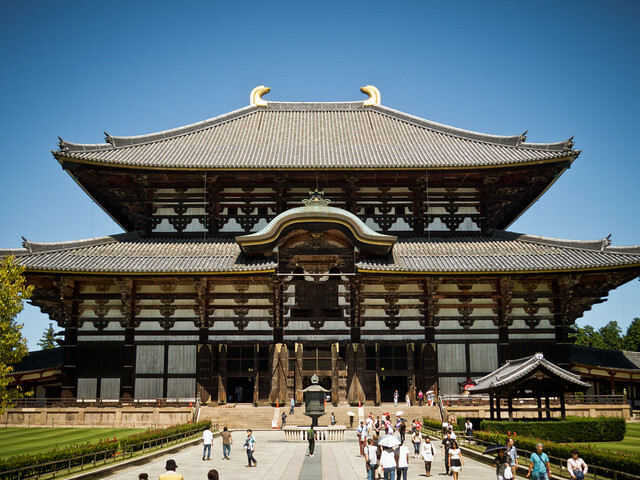 The Todaiji Temple, a massive wooden building housing a fittingly large bronze Buddha statue, is perhaps the most sought after sight in town and for good reason – as one of the world’s largest wooden buildings it truly is grandiose. 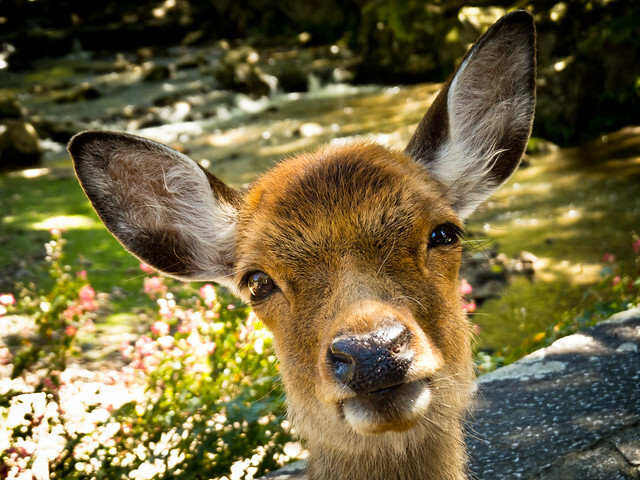 We ended with visits to the Kasuga Taisha Shrine, Ukimido Gazebo and walks beside the Sag-ike and Ara-Ike Pond, mingling with and photographing the congenial deer the entire way. Finally, we headed “home” to our hosts, a family with two of the brightest, most ambitious young kids we’d ever met, Nazuna and Tsubasa. With them we laughed all night folding – and throwing – origami ninja stars, watching Japanese anime and playing board games. Our entire stay in Japan undeniably exceeded our expectations in every possible way, but we truly saved the best for our last week. In Oita, on the island of Kyushu, we spent our last seven days in the country in the home of Kozue, a Japanese exchange student that Dustin’s grandmother hosted some forty-two years ago in their home in Montana. As this happened years before Dustin was even born, he only met her once when he was fifteen years old. Even so, Kozue stayed in touch for all those years, mailing gifts, cards and updates from Japan to their entire family. She extended an exceedingly warm welcome to stay with her family which prompted us to actually push back our initial departure date in order to have a proper visit. 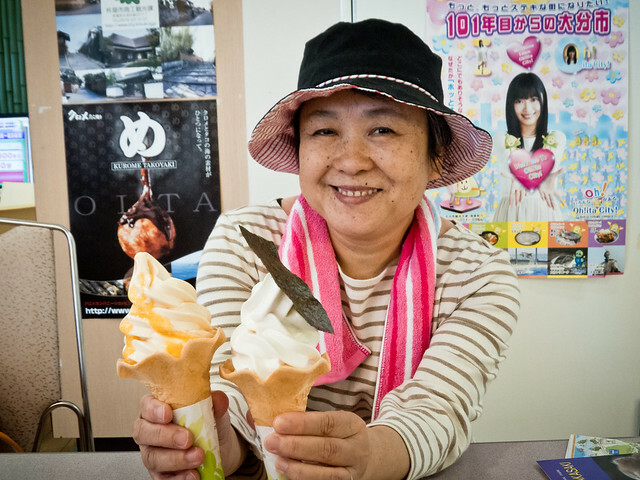 We felt right at home with Kozue and her house full of women in Oita. 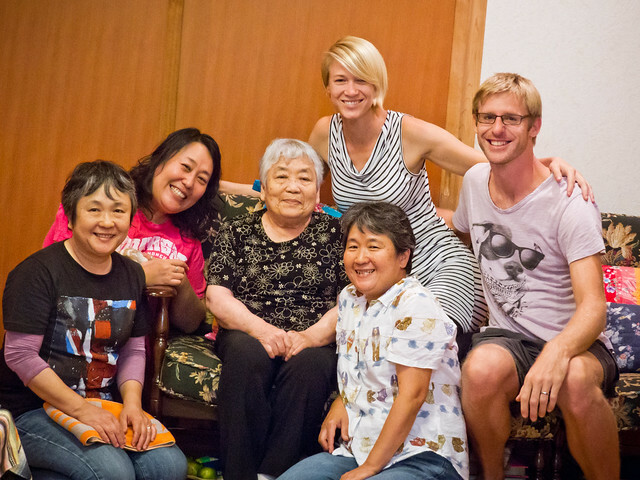 Her sister, Mikiyo, daughters, Yoshika and Yoshie, and her mother, the happiest and sweetest grandmother ever, each helped to give us the warmest welcome and were the most amazing hosts during our stay. For seven days they toted us around the area, showing us many of the local sights and going far above and beyond. 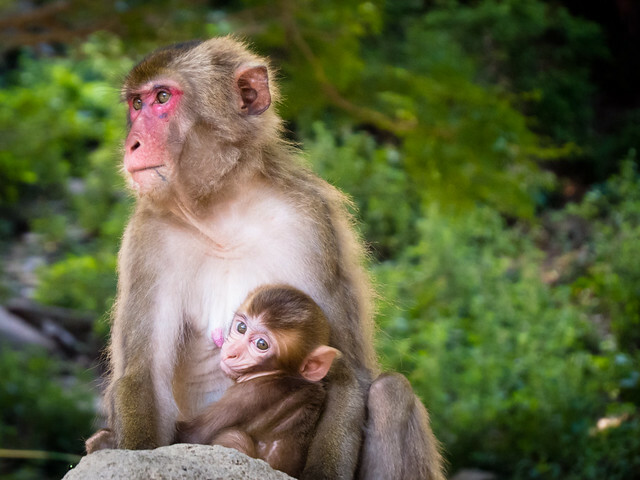 They accompanied us to Mount Takasaki National Park for a visit to admire the monkeys, to the yunohana sulfur bath crystal farms, to soak in a carbonated, “sparkling” onsen, and to witness traditional Japanese martial arts in action at the Oita Police Academy kendo and judo tournament. As true road trip enthusiasts they insisted that we venture even further from their home on a trip to Usa City to visit beautiful Usa Shrine. 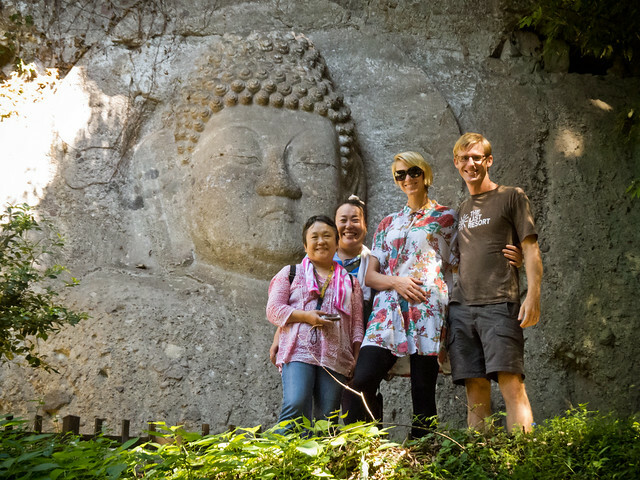 Along the way we stopped to hike deep in the forest to marvel at the centuries old Buddha cliffside carvings and shrines. 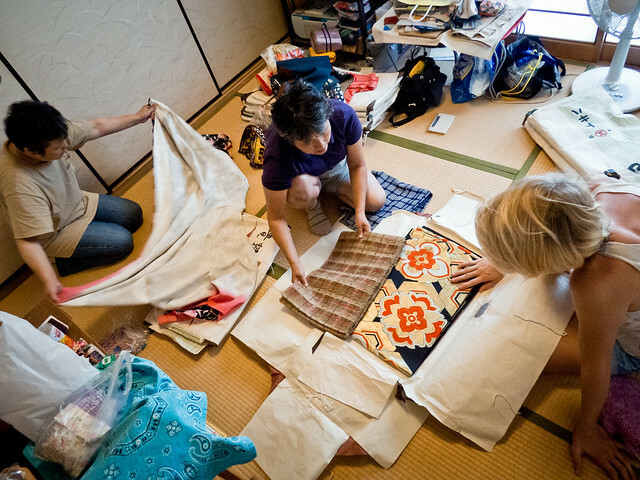 Touring the countryside was a delight, but even more so was our time in Kozue’s home where we together poured over old family photo books and stacks of paper-wrapped kimonos. 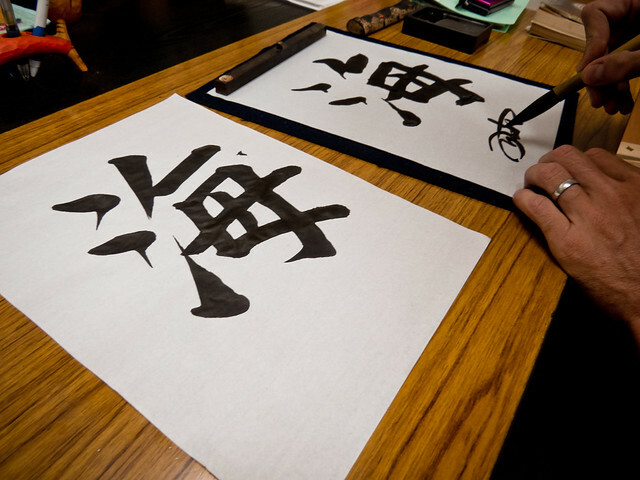 We attended a private calligraphy class with Mikiyo, learning how to write the words “sea,” “home” and each of our names. During that week we really came to feel like members of their family, assisting in Mikiyo’s garden and cooking a few meals ourselves. We simply adored this family and cannot wait to see them again. We deeply thank each and every one of our hosts in Japan; they graciously shared with us their familial traditions, cooked for us the most delicious and authentic meals, took time out of their schedules to spend with us, and allowed us to partake in their life for a few days. We cannot thoroughly express our gratitude for their immense hospitality and generosity and look forward to returning the favors upon each of their visits to our home in the future. We’re now headed to South Korea via a very short and simple ferry ride westward from Fukuoka to the bustling coastal city of Busan. We’ll spend these weeks in Korea eating our way across the country (Bulgogi! Bibimbop! Kimchee! ), visiting friends and delving into a new country’s culture. With plans to be home by Christmas, we’re now counting down the months and plan on enjoying the last of our nomadic lives to the very max. Japan sounds so amazing. I’m so glad you got to spend some time with Kozue and her family. They are a beautiful family.Thank you for sharing you’re amazing time in Japan. Beautiful writing and Amazing pictures that take us on the journey with you.. love you both.